B1685. John Towers, Ed. 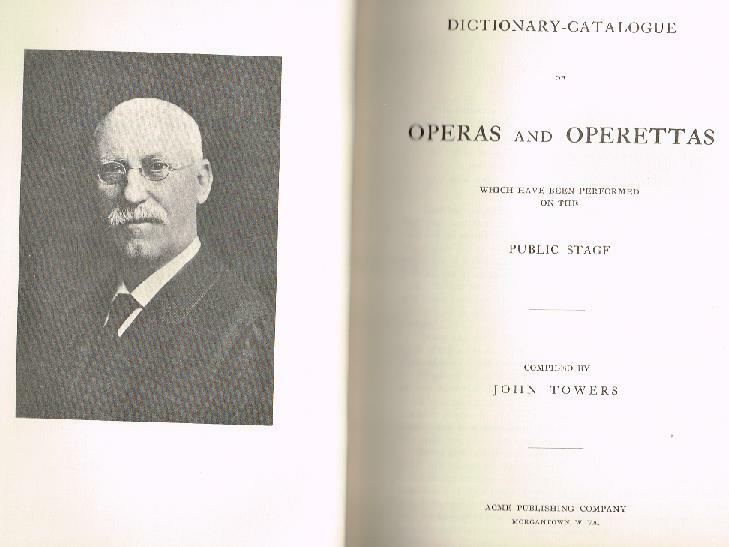 Dictionary-Catalogue of Operas and Operettas. New York, Da Capo Press, 1967 [Reprint of the 1910 Acme Edition]. 1045pp. (in Two Volumes, Red cloth binding). Indices in Vol.II.